Here you may shop for: Baby gifts arrangements with A toy for babies under 1year, pampers, creams for babies: New foamy cream and cream for swadding clothes, baby soap, baby wet tissues, baby shampoo, teddy bears of different sizes, large size teddy bear, other toys for small children under 3 years, dolls, cars, mobiles phones, balls, bricks, balls and other toys for children. Discount same day delivery with www.asap.ru. Dear customer, you may add chocolate bar, a rose, a vase, a teddy bear, balloons, perfume, cake, champagne, Martini while filling the order form. Please, log into your account with e-mail and password, then click order button on the requested item and you´ll be redirected to the order form information. There you may check any box in order to apply additional items to your order. Dear customers, we do provide deliveries to Internats and orphanages. We also can make pictures of children receiving their gifts. Here you may find the list of Internats and orphanages that we've already served on regular basis. You may place the order for any other destination. This list just gives you the idea of the service itself. We can assure you that we take deliveries to orphanages with special care and additional gifts for children from ASAP Company. 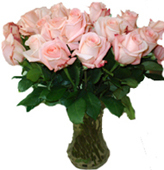 By ordering flowers and gifts with ASAP florists you may check the delivery status online with your e-mail and password. We accept main credit cards (visa, master etc) - security of your transactions is guaranteed. Dear customers, the items listed in this category are available for delivery only to Russia, Ukraine and FSU countries. Temporally we do not deliver them to other destinations. 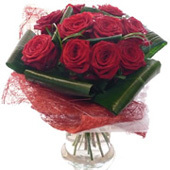 A wonderful decorative basket with 3 red roses, 5 pink tea roses, 3 euharius and other flowers with greenery for exclusive tenderness and loving couples. 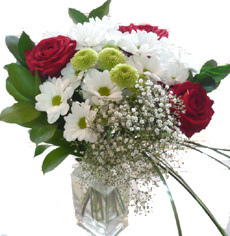 A gentle flower basket with 5 white roses and 5 white chrysanthemum with greenery. A very gentle amazing flower basket in white colours is a elegant choice and a wonderful gift for babies and ladies on special occasions.5 white roses, 5 white chrysanthemum, greenery, ghypsophillas decorated with small toys. 19 chrysanthemum, 5 statitsa with greenery, butterfly wrapped in a natural fabric. A wonderful summer mood to every house and every office. This flowers will last long and be a wonderful decoration of the summer inspiration. A wonderful selection of bright seasoned flowers with artificial butterflies and decorative natural fabric with the bast ribbons. 11 bright pink roses, 9 bright yellow-orange roses, 4 white chrysanthemum, ghypsophillas, greenery. 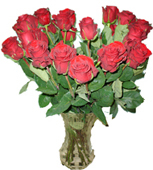 If the short-stem roses are replaced with the long-stem the number of roses is automatically reduced. 3 orange gerberas, 4 pistachio-coloured chrysanthemum, 7 white chrysanthemum, dry flowers with greenery. 5 pink roses on a floral work with bergras, butterflies and pearl beads. Dear customers, here is the detailed instruction on how to place the order for flowers and gifts. Log into the site with your e-mail and password - if you are a registered user. If you are not registered yet - please proceed with registration by clicking Register button in the left menu or follow the instructions you see on the screen. When you are logged click "Select some goods from showcase first!" Choose the desired items by browsing gallery and clicking order button on the chosen items. You may add as many items as you wish to your shop cart. Click purchase after you've chosen the items from the gallery. Fill out the order form. Here you may add additional items to your cart, such as teddy bear, chocolates, wine etc. Click Submit and check the order preview. If you agree with everything shown on the screen and want to proceed with your order click the appropriate button. Now you'll be redirected to online secure server page. Please, note that it may take some time. By login into the site with your e-mail and password, you get access to your online account. There you may find orders information, order status information, registration details and you may add money to your internal account. If your payment didn't get through due to some reasons or if you like to pay for your order the other time or the internet connection was lost while making the order, you may add money for your order any time you feel convenient. Please, follow the steps given below. В В 4. Wait for redirection to online secure server page. Please, note your order is shown as accepted only when the payment was approved by the system.